Assistance animals are seriously amazing, but people who can’t or don’t want to take care of a pet will appreciate this awesome idea from Japanese engineering firm NSK. Instead of a biological dog, the firm proposes using a robotic one. It has four legs, a body, and a harness for holding onto – no head, though, which might have made it a little friendlier-looking. 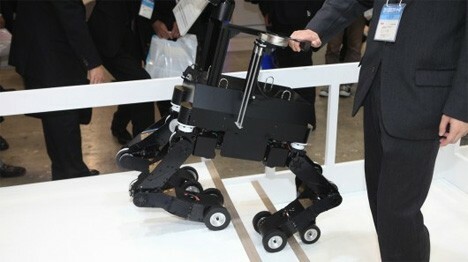 The unnamed robo-dog has two wheels on each of its legs so it can glide easily over most terrain. But when it needs to climb stairs or navigate uneven ground, the legs bend and move. Users control the dog’s direction by applying forward, left, or right pressure to the handle. Considering the fact that biological guide dogs can take up to 10 years to train, switching over to robots might be a smart move in the future. For now, though, the robotic guide dog can’t understand voice commands or intuit the user’s needs or intentions. 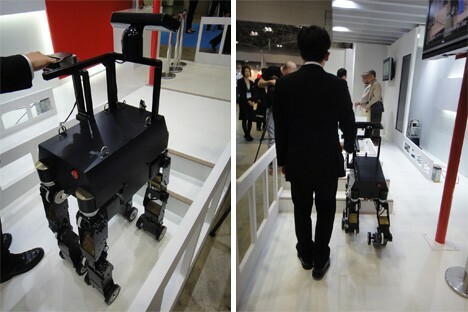 After some work and improvement, the robotic dog could prove to be a valuable asset to those who need a service animal. 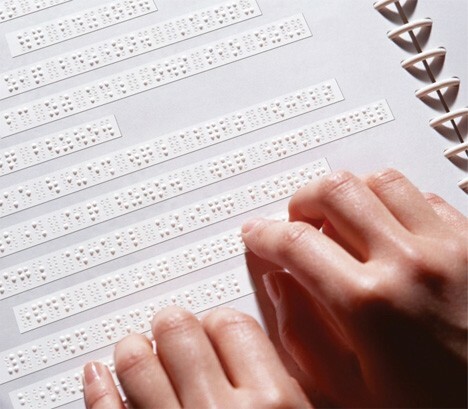 For blind people who read braille, the system of raised dots can be an important part of recognizing and interacting with the world around them. 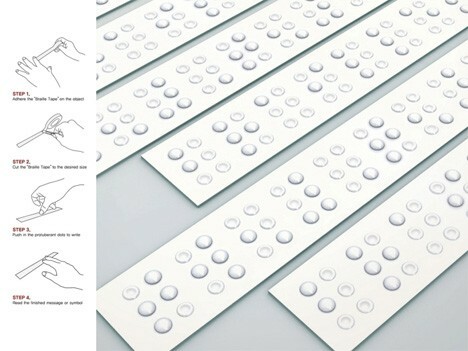 It’s never been easy to create braille labels to label things at home, but designer Kukil Han came up with an ingenious system. 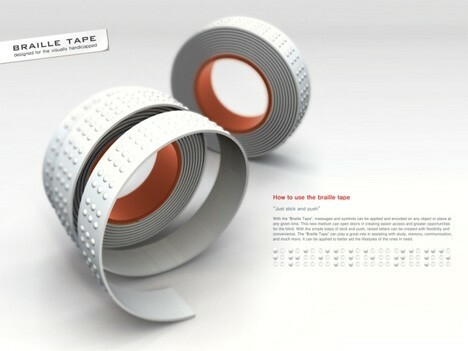 The tape comes in a long roll with all of the dots raised. When you want to label something, all you have to do is cut off the length of tape needed for the amount of letters you need to spell out – each set of six dots represents one character. Then simply push down the appropriate dots to form each letter, and tada! Instant braille. The idea, which is a little like bubble wrap or those push-in domes on the top of plastic drink lids, is easy enough for almost anyone to use. It seems like a great idea for people who are losing their vision or have recently become blind so they can identify items around the home or office with a quick scan. Navigating a city can be a real challenge for anyone regardless of how well they can see. Research group Future Cities Catapult, in cooperation with Microsoft, designed this multifaceted guide system called Cities Unlocked. 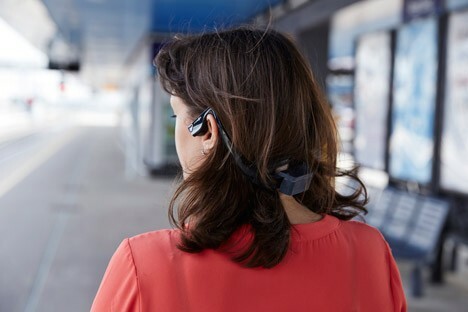 A smartphone and a bone conduction headset work together to direct a city navigator to his or her destination. The headset is custom made for each user using Microsoft’s Kinect camera. The camera scans the user’s head and identifies the optimal position – right in front of the ear canals – for the audio nodes to sit. 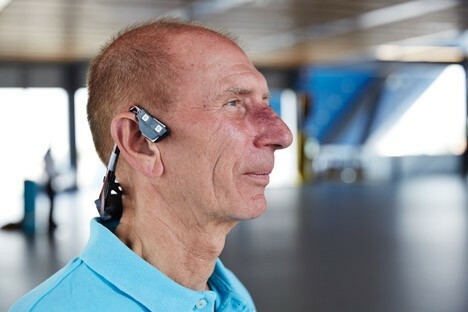 Using bone conduction sound technology means that the user can still hear important ambient noises. Before beginning a journey, the user would enter his or her destination on the smartphone app. The app would give audio cues to guide them in the right direction, pointing out landmarks, public transit locations, and businesses. The project would involve installing compatible information beacons all throughout cities where the system is supported.